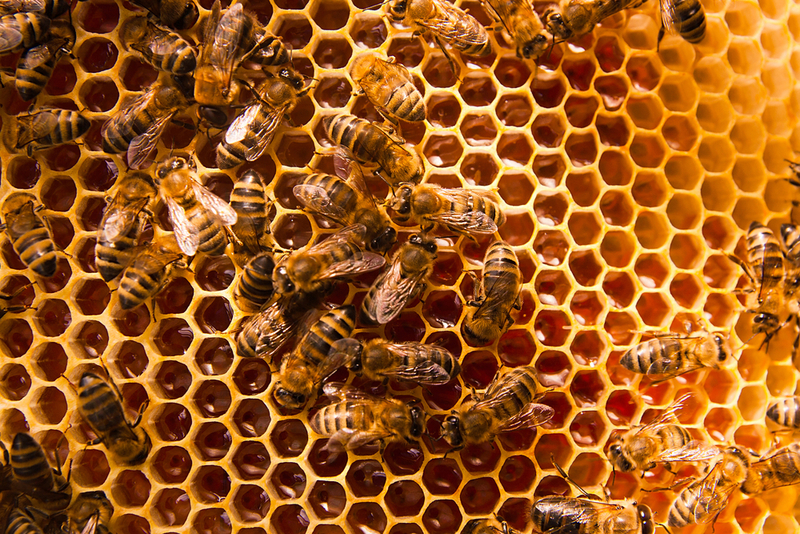 Natural beekeepers are converging in Pasadena to share their apiculture skills. The couple launched HoneyLove, an LA-based nonprofit bee conservation organization in 2011, with “a mission to protect the honeybees by educating our communities and inspiring new urban beekeepers,” says Chelsea. It has grown to be the largest urban beekeeping group in Southern California. 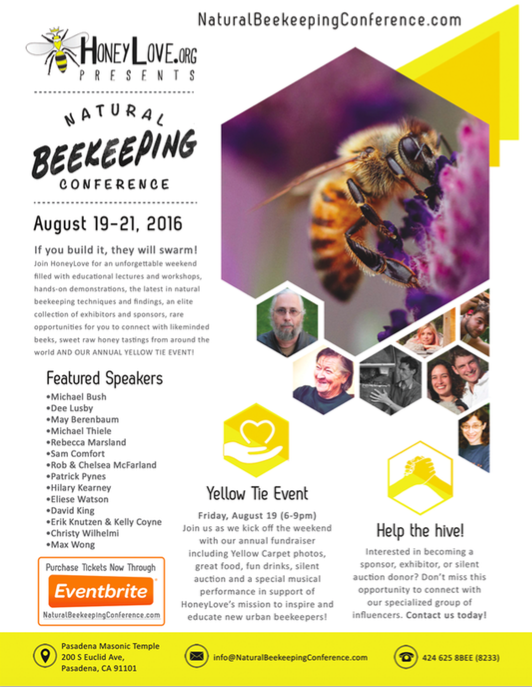 The conference in August is for natural beekeepers – those who use chemical-free practices – of all stripes, but with a special focus on those who raise bees in an urban environment. You’ll see several luminaries of the natural beekeeping world at the conference, including Michael Bush, the author of The Practical Beekeeper – Beekeeping Naturally; Dee Lusby, known as the “mother of treatment-free beekeeping;” May R. Berenbaum, professor and department head in the Department of Entomology at Cornell University; and Les Crowder, author of Top-Bar Beekeeping. Plus, there will be workshops, hands-on demonstrations, the latest in natural beekeeping techniques and findings, exhibitors and sponsors, and even tastings of raw honey from around the world. It’s an opportunity to connect with other “beeks” (bee geeks), Chelsea says. The weekend also includes HoneyLove’s annual Yellow Tie Event on the evening of August 19, which will help raise funds for the nonprofit. You can enjoy locally-sourced food, themed cocktails, live music, and lots of bee-inspired fashion judging by last year’s event. Chelsea says beekeepers (or just bee fans) of all ages and skill levels are welcome to the conference. Register here and beek on!